A smart and eloquent person once proclaimed that eyes are the windows to the soul. Eyes can tell us a lot about someone; when they’re happy, sad, pensive or excited but they can also signify health problems. It is essential to have your eyes checked on a regular basis to help thwart unwanted eye problems. There are also many things you can do now to ensure continued good eye health in your every day life. Consuming the right foods can be instrumental for overall eye health.3 Foods rich in specific antioxidants (lutein, zeaxanthin and vitamin E), may prevent cataracts. Excellent food source examples fortified with lutein and zeaxantin are spinach, kale, collard and mustard greens, broccoli, pumpkin and corn. Vitamin E enriched foods include almonds, fortified cereals, vegetable oils and sunflower seeds to name a few. Making an effort to fit antioxidants into your daily health routine can help ensure continued good eye health. Our computers can be an eye health nemesis too. But there are some easy adjustments you can make that can help mitigate eye strain and help improve your vision. Adjusting your monitor to be directly in front of you at about arm’s length can be helpful and if there’s hard to read print, consider increasing the font rather than leaning into the screen and squinting. Also cleaning your monitor can cut down on glare and contrasts that require your eyes to adjust. When reading or doing any kind of intricate work, be sure there is plenty of unobstructed light shining on the book or object without it shining in your eyes. Additionally when you’re watching TV, lighting the room softly will cut down on eyestrain as there won’t be too much contrast between the TV and the surrounding area. 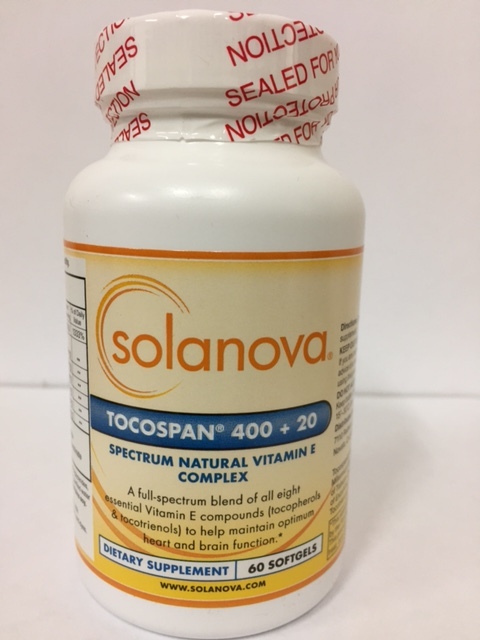 MultiSential® Vege Cap full spectrum multivitamin has essential vitamins, minerals and nutrients to ensure you’re body’s fortified with the best nutritional and antioxidant protection available in an very absorbable form. So be sure to eat a balanced diet, see your eye doctor regularly, and keep an eye on your weight and nutritional needs and you’ll be able to see clearly into the future! 1, 2 Mayo Clinic. "Macular Degeneration." Article (http://www.mayoclinic.com/health/macular-degeneration/DS00284), August 26, 2008. 3 WebMD. "Three Nutrients May Cut Cataract Risk." Article (http://www.webmd.com/eye-health/news/20080114/3-nutrients-may-cut-cataract-risk), January 14, 2008. 4 Mayo Clinic. "Choosing Sunglasses: Is UV Protectoin Important?" Question/Answer (http://www.mayoclinic.com/health/uv-protection/AN00832), July 31, 2008. 5 Mayo Clinic. "Macular Degeneration: Risk Factors." Article (http://www.mayoclinic.com/health/macular-degeneration/DS00284/DSECTION=risk%2Dfactors), August 26, 2008. 6 National Institutes of Health, National Library of Medicine. 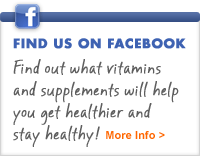 "Antioxidant Vitamins and Zinc Reduce Risk of Vision Loss from Age-Related Macular Degeneration." Press Release (http://www.nlm.nih.gov/databases/alerts/amd.html), October 15, 2001.